← More dead babies! Less taxpayer money! Yay! 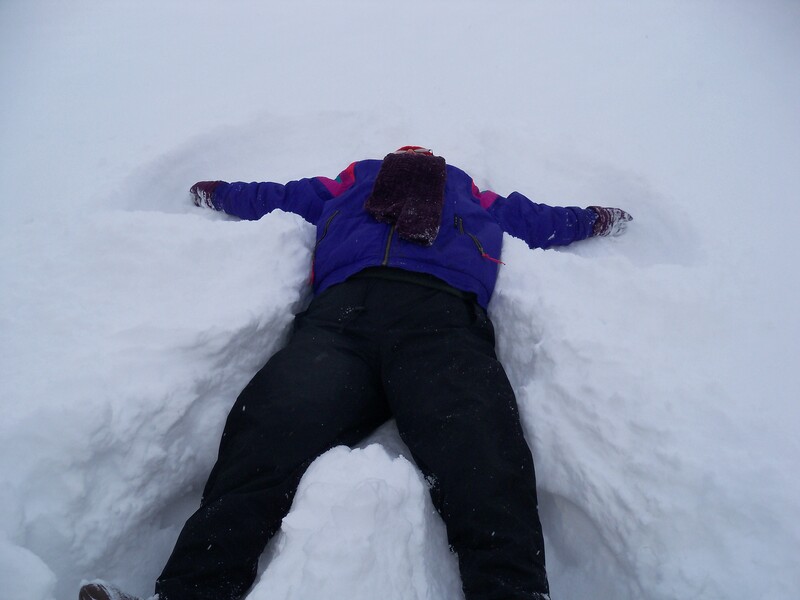 Laurel, finally getting to make a snow angel. The road has finally been plowed… after more than 24 hours of snow covering it. 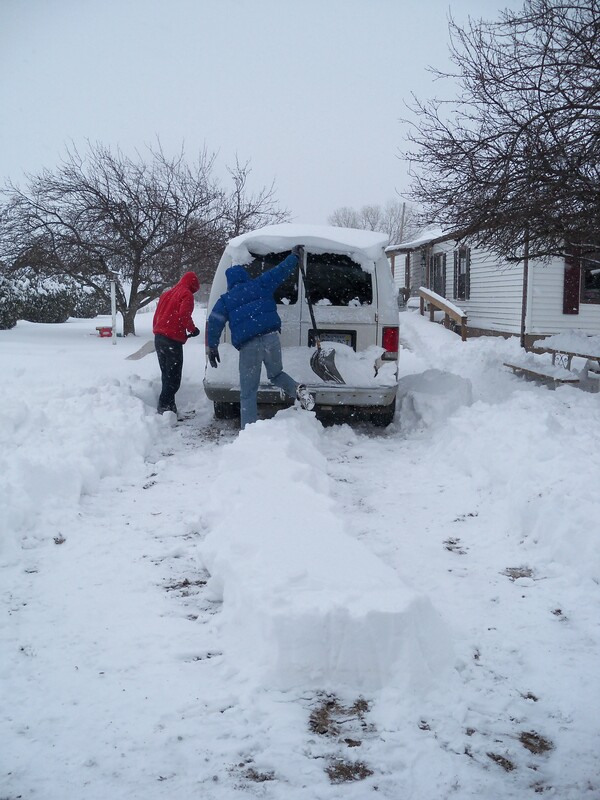 The boys shoveled snow and made necessary paths. We don’t have pics from the current storm yet. Forecasts called for up to 13 inches of new snow with this one, but it looks like all in all we won’t get nearly as much as expected. The heaviest snow is supposed to get here soon, however. 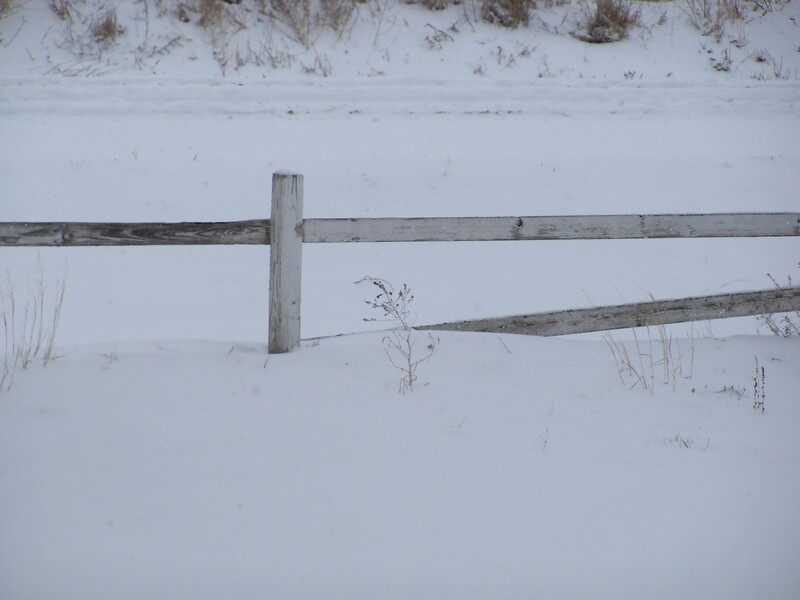 This snow is much-needed moisture for our area. We’ve been in a drought lately, and regardless of the inconvenience, I probably won’t hear any complaints about the snow when I get back in to work (hopefully tomorrow). We are enjoying it as well, it’s a beautiful part of God’s creation! This entry was posted in Family, Kids, News. Bookmark the permalink.